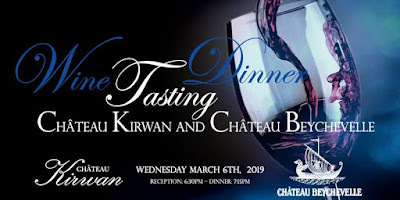 The Café Descartes/ French Embassy in Washington DC and ombiasy PR and WineTours are excited to announce that we are hosting a Bordeaux winemaker dinner on March 6th, 2019 with the wines of Château Kirwan, 3ième Grand Cru Classé en 1855, appellation Margaux, and Château Beychevelle, 4ième Grand Cru Classé en 1855, appellation Saint-Julien. 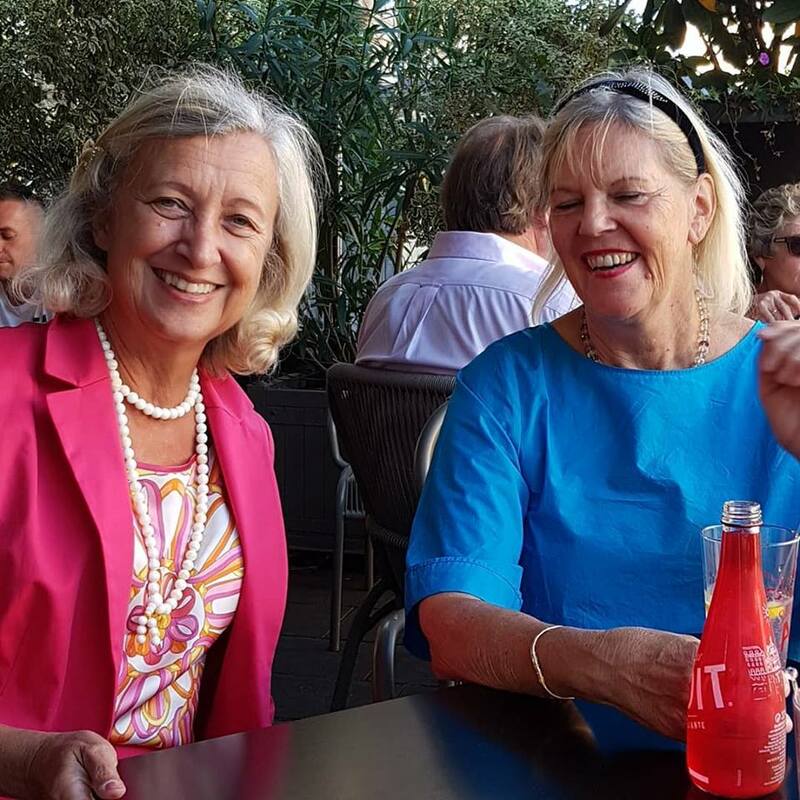 Please join us in welcoming owner Sophie Schÿler, who will present the wines of her family estate Château Kirwan and Philip Blanc, Managing Director and winemaker at Château Beychevelle who will present the wines of Château Beychevelle. This is a rare opportunity to taste wines from two prestigious Médoc appellations side by side. Executive Chef Mark Courseille will prepare the following Menu matching the food with the earth and fruit profiles of the wines.